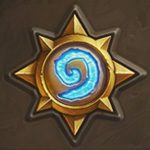 Learn how to play this archetype with our Aggro Shaman Deck List Guide. Is there a guide for this deck??? Is Thalnos really a must have in this deck? It is VERY nice to have, but you can play without it. Before RR, they used a Cult Master instead (for the draw). Does anyone know if there’s a guide for this deck? Like I’m not sure what to mulligan or if I only go face or exchange. Can this deck hit rank 5? And should this deck run the frog loa card? this can easily hit legend and you can play te LOA instead of one of the bigger minions but it’s propably better with the list above. I’m currently running Trumps’ version of this deck and it works really well. He replaced Thalnos with Krag’wa the Frog and replaced Knife Jugglers with Saronite Taskmaster’s. The frog can come in super huge and win the game sometimes by getting you a finishing spell. He takes a little planning to play effectively. You can also do some crazy Doomhammer Rockbiter combos. E.g. Turn 8: Equip Doomhammer Turn 9: Apply 2 Rockbitters to Doomhammer and swing face twice for a total of 16 damage. Turn 10: Krag’wa the Frog to get your Rockbitters back, use your remaining 4 mana to pop them back on your Doomhammer, and crush face again for another 16 damage…a bit of a late play for this deck, but if you see you can line it up, 32 damage in 2 turns is hard to defend against. I had everything but the 2nd Doomhammer for this deck. I can make one but I’ve been using 1 bloodlust. Seems to be working pretty well that way. Crafted the deck. I totally regret it.